DrinkWire is Liquor.com’s showcase for the best articles, recipes and reviews from the web’s top writers and bloggers. In this post, Cocktaillogic offers a rum cocktail twist. 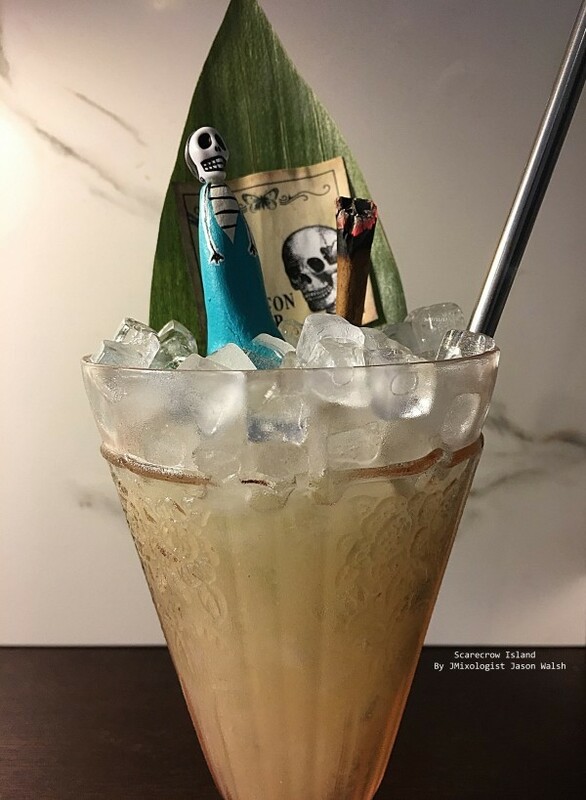 I really like the idea of seeing and incorporating Rum and tiki cocktails with agave spirits. In this case, Stiggins Fancy Plantation Pineapple rum pairs with mezcal, providing a wonderful smoked sugar cane pineapple flavor. But it doesn't stop there. In addition, I incorporated two kinds of nutty flavors using Frangelico hazelnut liqueur and orgeat almond syrup along with Sarsaparilla root bitters (house-made) and Fresh lime juice. I hope you folks like it.